Inhabitants of northern Yemen's forbidding mountainous region of Radfan are conducting guerrilla attacks against the British. Armed by the Egyptians and trained by the communist Yemenis, they seem an invincible fighting force. With only one hope of beating them, the British draft in an even more tenacious group of soldiers - the SAS! Their mission: to parachute into enemy territory at night, establish concealed observation posts high in the mountains, and direct air strikes on the rebels moving through the sun-baked passes. 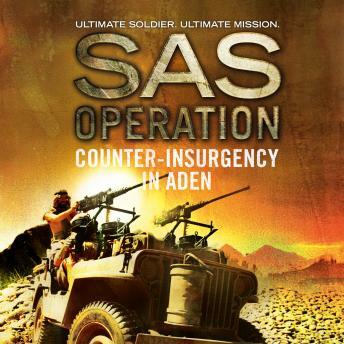 At the same time, in an even more dangerous campaign, two- or three-man SAS teams disguised as Arabs must infiltrate the souks and bazaars of the port of Aden in an attempt to 'neutralise' leading members of the National Liberation Front. But will their disguise allow them to get close enough to their targets, or get out again alive...?